Bears will point to overly bullish sentiment readings and anemic volume as reasons to be wary of “The Big One” or bull market ending. They are absolutely correct regarding the sentiment surveys, but this story has been seen before. And sentiment is almost always much frothier than the high positive readings of today. Sometimes, a correction unfolds while other times the market enters a trading range. 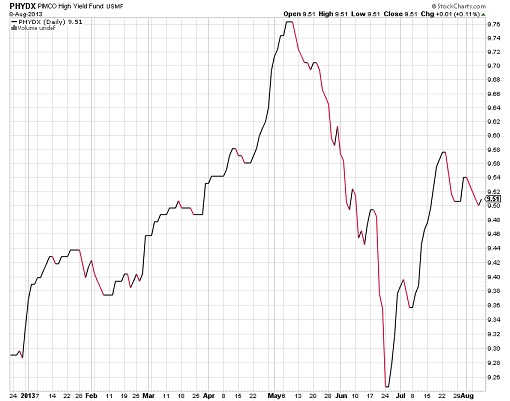 And in outlier cases, every once in a long while, stocks begin to melt up to a major peak down the road. Total stock market volume has become one of the most misunderstood and overused indicators. In the good old days, it was a valuable analytical tool, however, with the proliferation of exchange traded funds (ETFs), high frequency trading, decimalization and off exchange dark pools, New York Stock Exchange volume is no longer accurate in my opinion or largely valuable. 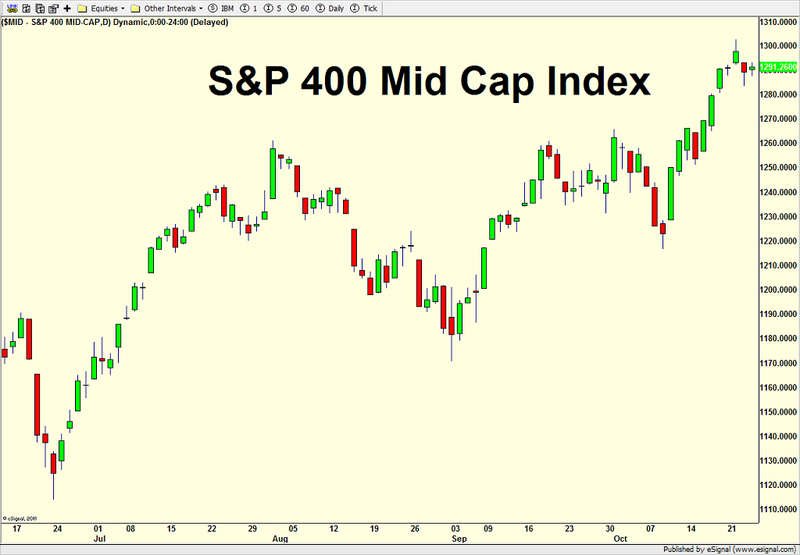 With many all time highs seen in October, it is a good time to review the canaries in the coal mine for signs of trouble. Remember, canaries are only valuable at major market peaks and bottoms. For the vast majority of the time in between, they will be of little value. 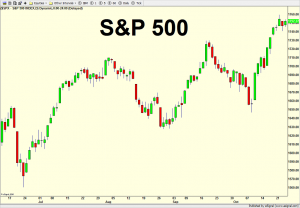 We review all of the major stock market indices and sectors along with other key indicators of overall market health. At major market turning points, we will often see glaring divergences or non confirmations with a few of the indices, sectors and indicators lagging the move. 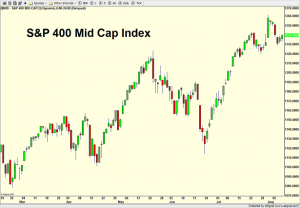 Let’s do a quick walk with the major indices and see if we have any warning signs. 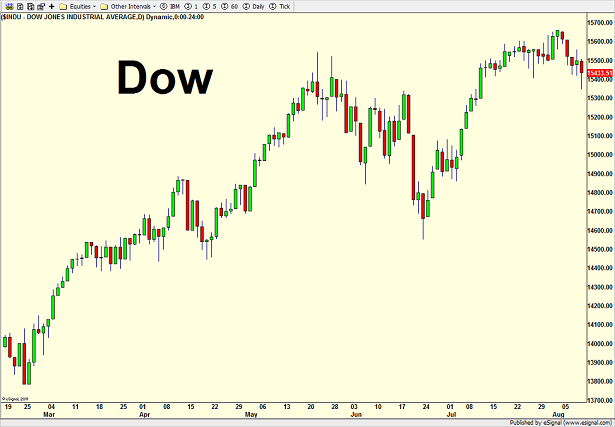 The Dow is first and it just recently scored an all time high, which washed away the very small yellow light in October. 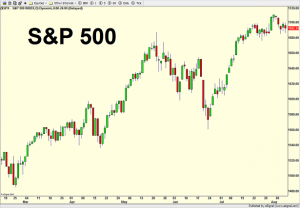 The S&P 500 is next and it, too, recently hit an all time high. The S&P 400 Mid Cap is below and look how quickly it went from laggard (mid Sep to mid Oct) to leader now where all time highs were made. 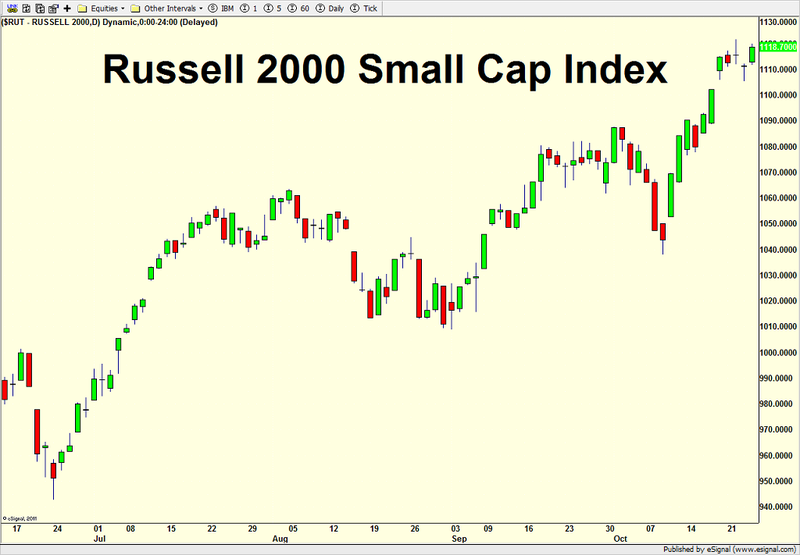 Ditto with the Russell 2000 Small Cap, which has been the single market leader since mid October and throughout 2013. 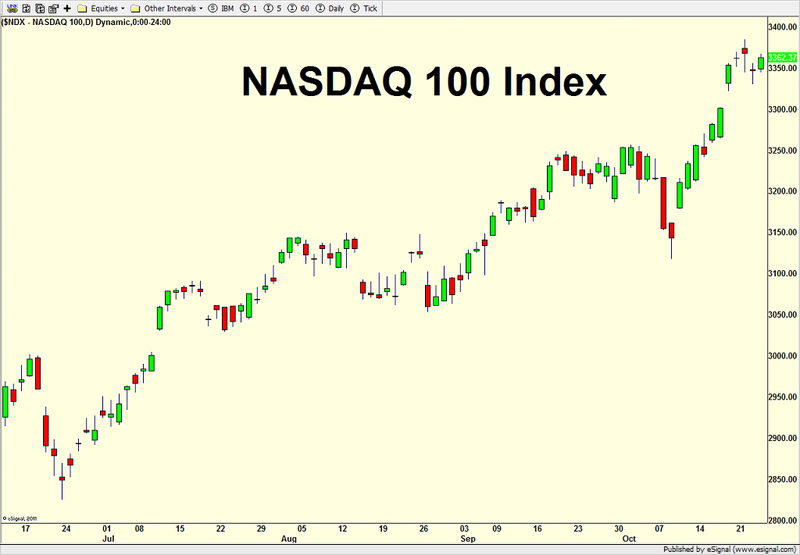 The NASDAQ 100 is next and this index has frustrated me somewhat this year, especially in the middle of the year. Although it still needs to rally roughly 50% to eclipse its Dotcom bubble all time high from 2000, the index is sitting in new 52 week high territory and that indicates strength. Summarizing the indices, they are all in sync and show no sign that the bull market is ending. 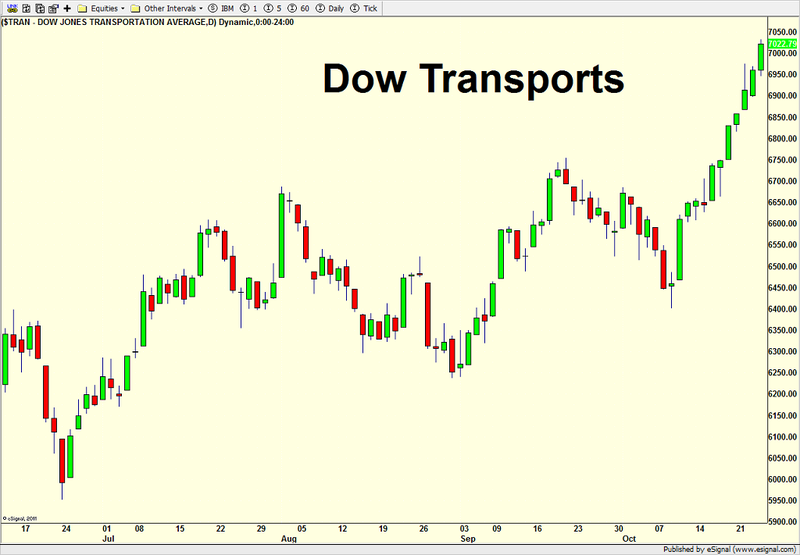 The Dow transports are below and they are vitally important to confirm highs and lows with the Dow industrials. 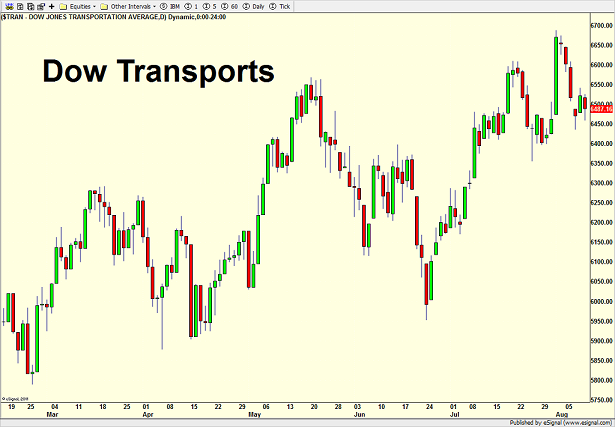 In the current case, the transports are and have been a market leader all year and that continues today as all time highs made. 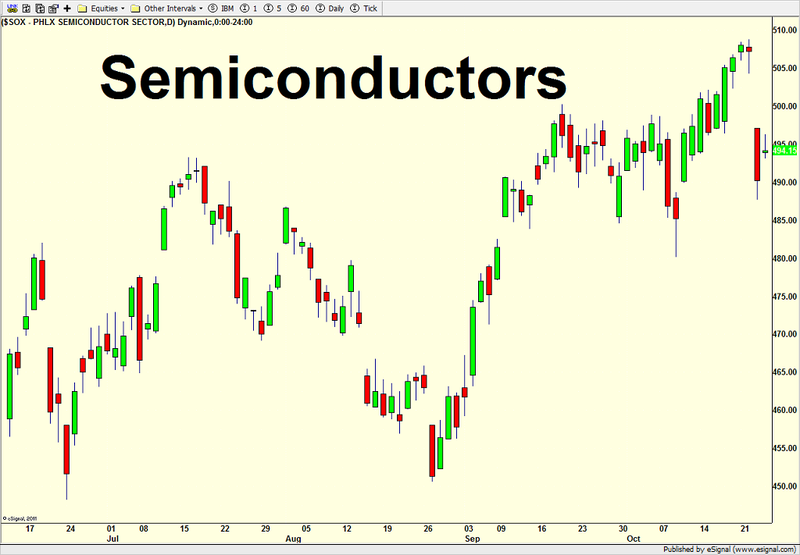 The semiconductors are next and they are so important because they reside at the beginning of the technology food chain. The only caveat with them is that they are very volatile and can give more false warning signs that the others. 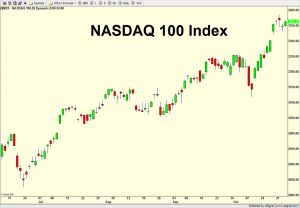 As with the NASDAQ 100, they are far away from all time highs, 175% to be more precise, but they are currently seeing 52 week highs and their best levels since 2001. 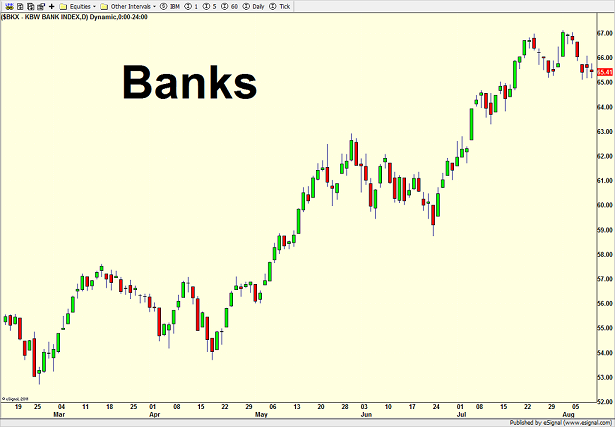 The banks are below and are nowhere near the high they hit in 2007. That’s okay, but more recently, they have not exceeded the high they saw in June of this year. I consider this a mild warning sign. The New York Stock Exchange Advance/Decline line is next, which measures the cumulative number of stocks going up and down each day. 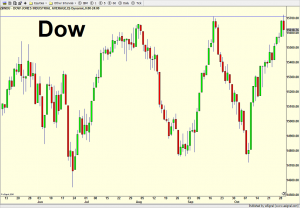 Until very recently, warning signs were given that the rally was becoming more and more selective. 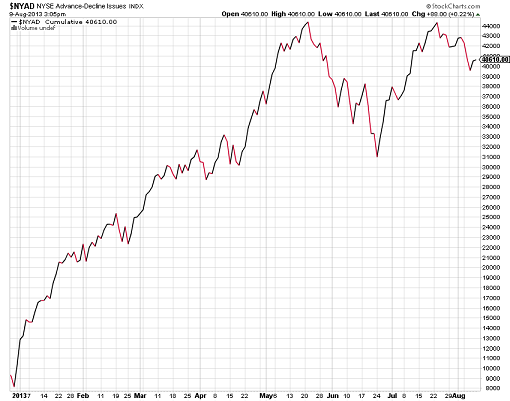 As you can see, the A/D line blasted through the previous all time highs and there is no longer a warning here. 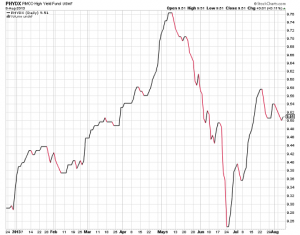 Finally, the high yield bond sector is below using the PIMCO High Yield Fund as its proxy. I felt strongly that the peak seen in May of this year was THE high and that this was the first nail in the coffin for the bull market. 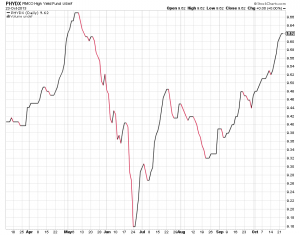 Junk bonds have certainly surprised to the upside since the Fed did not taper in September and the run has been very strong, causing me to waver on whether the May peak could be slightly exceeded. In any case, this remains a warning sign, but not nearly as much as before. Over the past few months, the market has breathed life into a few of the canaries on life support and the bull market remains alive and well. Because we do not have a preponderance of warnings, it will likely take at least a decline followed by a narrow rally to before we start seeing canaries die. I haven’t done a canaries in the coal mine update in a while, but with the major market indices hitting fresh highs last week, it’s time to check if any are dead. Remember, canaries in the coal mine are only useful at bull market peaks and bear market troughs. In other words, they are very helpful at spotting beginnings and endings of bull markets, but not much in between. They are so important because they usually give ample warning that a bull market is living on borrowed time as the canaries begin to die. 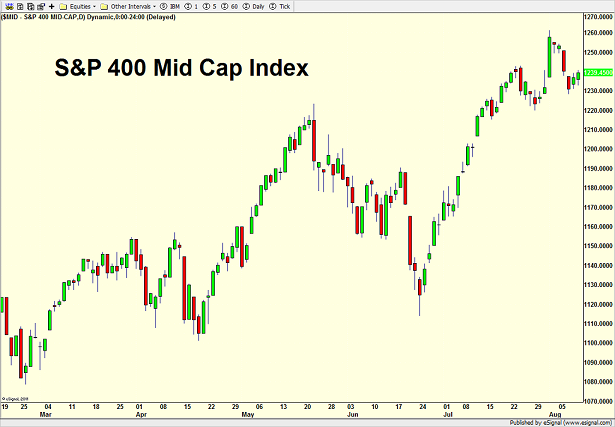 Let’s start with the major indices as they should all be in new high or fresh highs for 2013 territory. 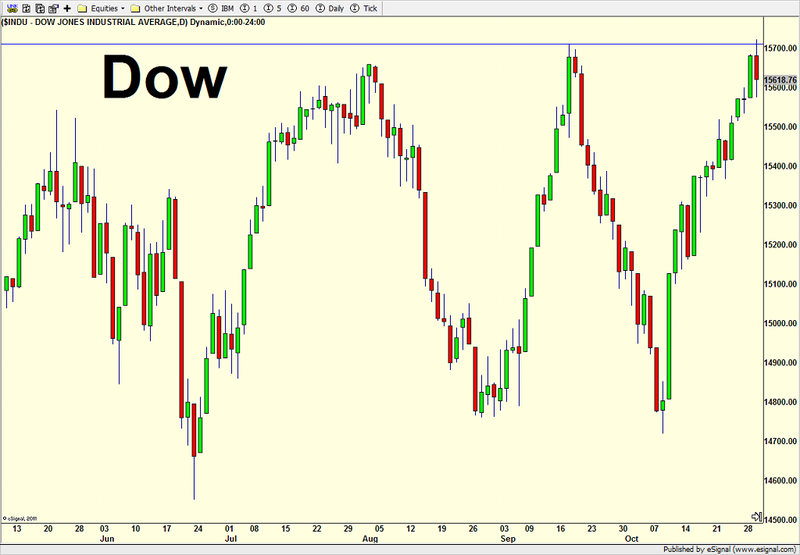 The Dow is first and you can see the all time from last week on the right side of the chart. 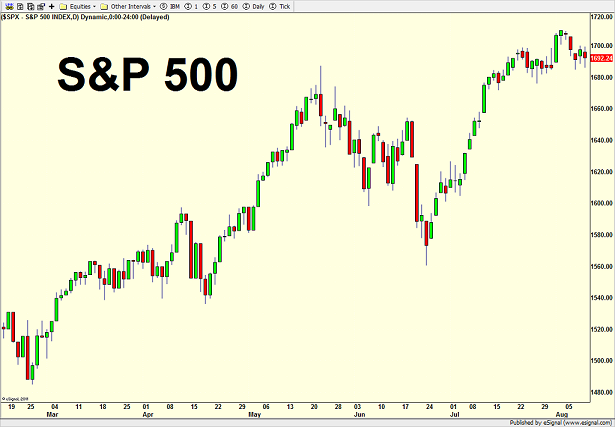 The S&P 500 (very large companies) is next and it, too, hit all time highs last week. 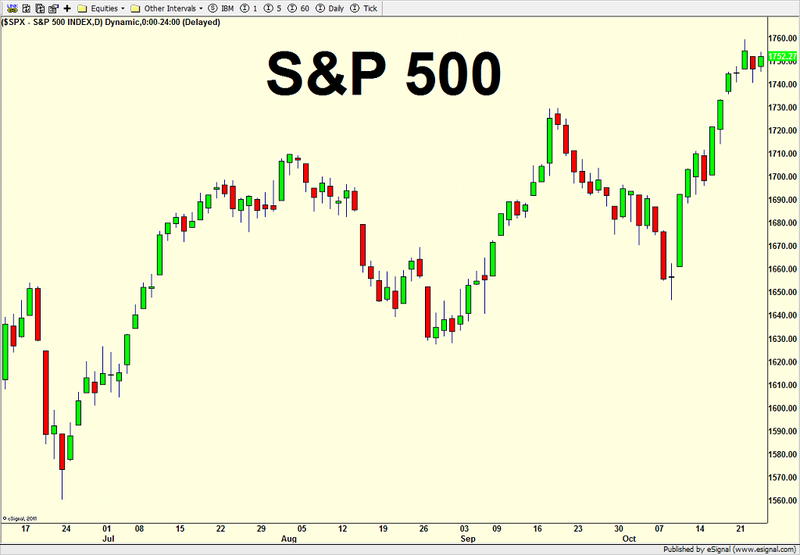 The S&P 400 (medium size companies) is below and it is in line with the first two from above. 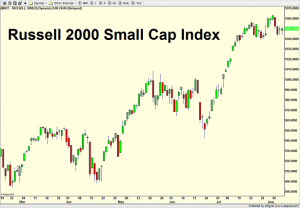 The S&P 400 is usually the big leader during the mid stages of the bull market as many companies in this index experience their glory years or growth and financial stability. 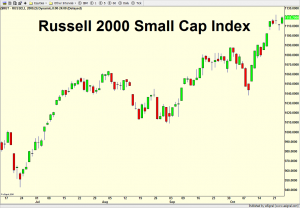 The Russell 2000 (small companies) is next it saw all time highs last week. 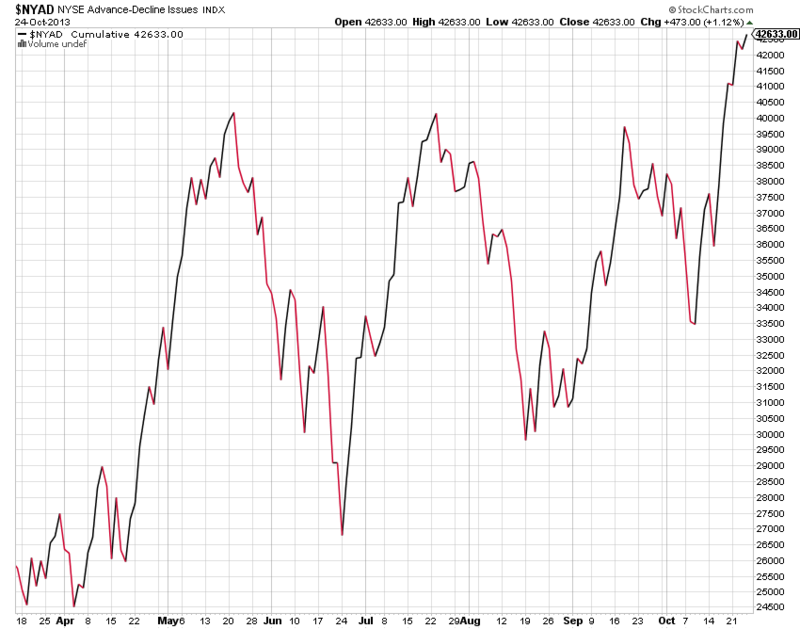 This has been the index leader since the June 24 low and pretty much entire bull market from 2009. There have been a few warning signs along the way, but they keep repairing themselves to health. 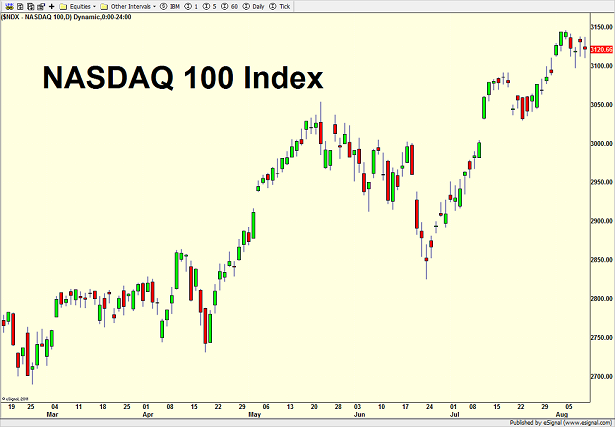 The technology laden NASDAQ 100 is the final major index and it has done a remarkable job at playing catch up, not only in the very short-term (since mid July) but also over the past year or so. 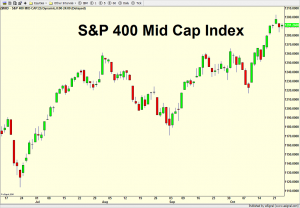 In summary, all major stock market indices recently saw fresh highs indicating that the bull market is not close to ending. 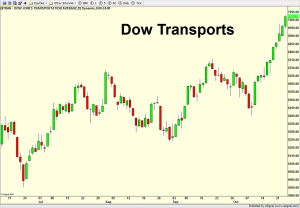 The Dow Jones Transportation Index is below and this serves two purposes. First, it’s a minor index after we look at the major ones. 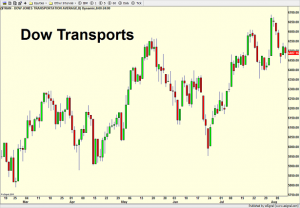 Second, old school Dow Theory offers that the Dow Industrials and Transports should be in sync during major rallies and declines to confirm the long-term trend. 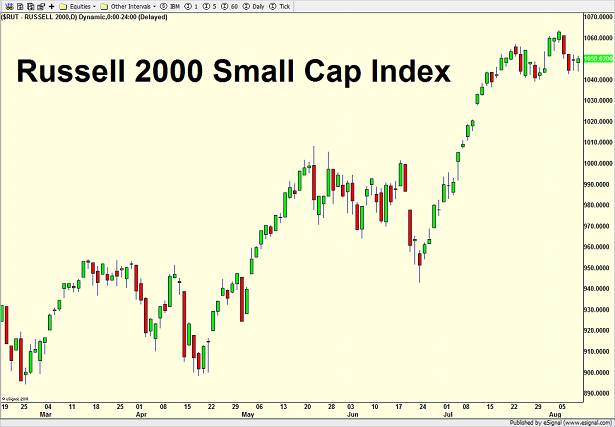 At bull market peaks like 2007 and 2000, we usually see one index fail to confirm the other’s price move. 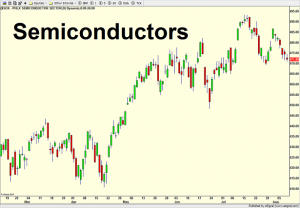 In other words, if this bull market were ending, we would either see the Industrials or Transports fail to make their final price peaks together. At this point, that’s not the case. 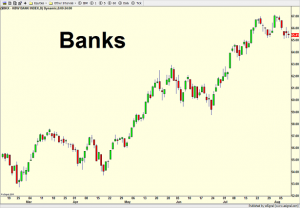 Turning to the bellwether sectors, the banks continue to lead and see new highs on each successive push higher in the stock market. This is healthy action. 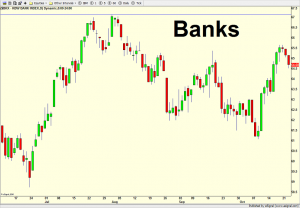 On a separate note as I mentioned on CNBC’s Closing Bell last week, the banks remain one of the most unloved sectors in the market in spite of their huge price gains and leadership role. I am not a fundamental researcher, but if investors can look past the major players like J.P. Morgan, Citi and Wells Fargo where new government regulation may present some head winds, the regional banks and small banks may present some good opportunities, especially if a mergers and acquisitions wave begins. With overall sentiment towards the banks negative, this group should continue its leadership role and be a good buy candidate after market declines. 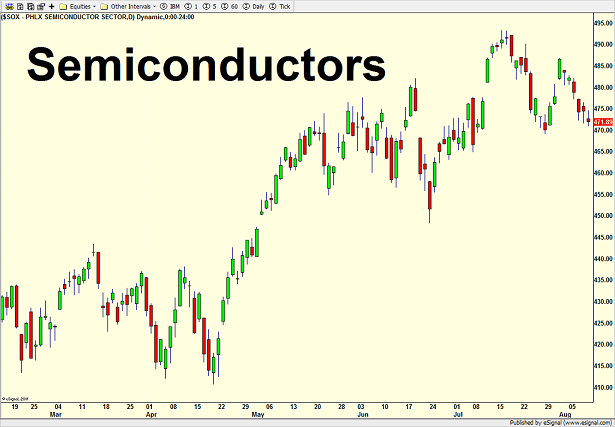 The semiconductors present a much different picture. They are so vitally important because of their leadership in the technology sector and technology’s leadership in the overall stock market. The semis not only are a long-term canary, but also have some good predictive power for intermediate-term moves, something that would make a good article for the next issue. I have to admit that this group can be a bit frustrating at times because it gives more warnings than any other canary and the only warning that really matters for the end of a bull market is the final one. As you can see below, the semis did NOT see fresh highs last week and their price is already creeping back into the range we saw during May and June. This is not good behavior and bears watching closely. 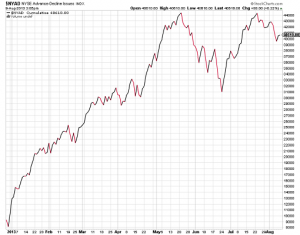 The New Stock Exchange cumulative advance/decline line is next. For newer readers, this simply represents the number of stocks that go up and down each day totaled over time. I have found it to be an excellent barometer of liquidity and overall market health even though its warnings can range from a few months to almost two years as we saw in the spring of 1998. Detractors will point to the number of non operating companies that litter the NYSE, but that’s exactly why I find this indicator so useful. Those non common stocks are typically closed end bond funds (CEFs) that are acutely sensitive to interest rates. The combination of common stocks and CEFs has proven to be a valuable long-term indicator when the major stock market indices march higher without the NYSE A/D line. From the chart below, we see twin peaks in May and July, a very mild warning with price going much higher, but nothing that indicates impending doom. This is another canary that should be closely watched now. Finally, let’s take a peak at high yield (junk) bonds as depicted by the PIMCO High Yield Fund. You can use any of the major funds or the ETFs. I just choose PIMCO because it is a very large fund with a long track record. Junk bonds are so important because they are acutely sensitive to ripples in the liquidity stream as well as the economy. They are at the bottom of the credit hierarchy and money typically flows out of the sector at the first sign of economic trouble or decrease in liquidity. You can see how the fund made its high in May and sold off dramatically into June. 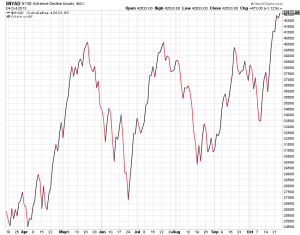 What is unusual is that this decline occurred without stocks cratering. 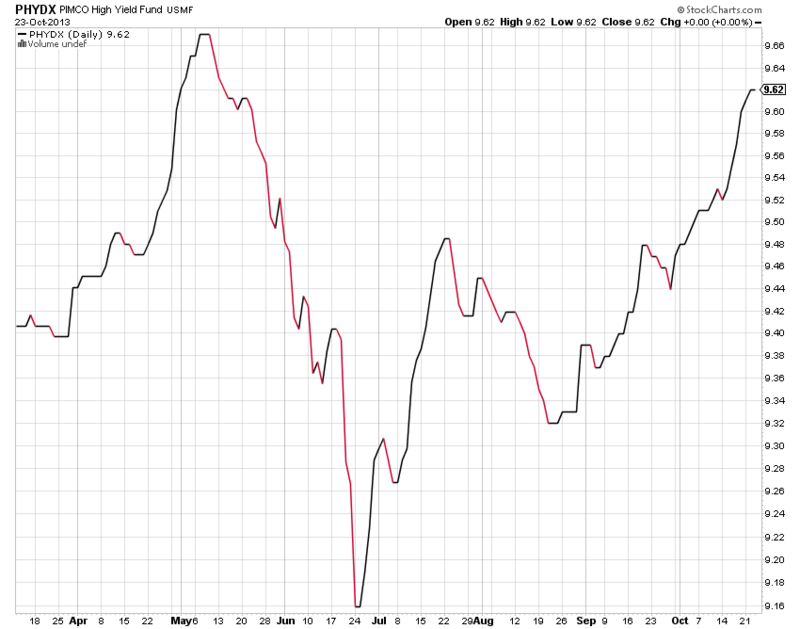 In fact, high yield bonds saw more carnage than stocks. And as stocks vaulted higher in July and August, the high yield sector could barely muster a rally to get back half of what it lost. This canary appears to be dead for this cycle. If junk bonds rollover again and we the PIMCO fund in the mid 9.40s, I think that will spell at least some short-term trouble for stocks. 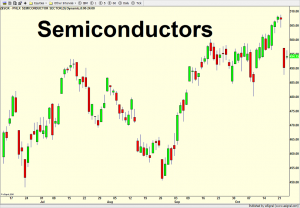 In summary, the canaries are generally healthy with only one dead (high yield) and maybe two on heightened observation (semiconductors and NYSE A/D line). Before this bull market ends, I expect to see many more canaries on the dead list. If you would like to discuss how your portfolio is acting now or could behave if more canaries bit the dust, please contact me directly by hitting REPLY or calling the office at 203.389.3553. Every month or so, I write an update on the market’s canaries in the coal mine to get a sense where the bull market stands. Nothing has changed on that front in that we having an aging bull market, but one that should live on through the next correction and probably into 2014. As the market builds towards the next meaningful pullback, here are a few things to watch as I briefly discussed on Fox Business. I am going to be on Fox Business’ Markets Now tomorrow (Thursday July 25) at 1:00pm EDT discussing earnings, the upcoming Fed meeting and where stocks are headed this quarter. I am also going to spend some time with the folks at Yahoo Finance creating three segments. The first will be on the comparison between 1987 and the current market while the second will focus on the upcoming Fed meeting and when Bernanke & Co. will begin to pull the punch bowl. The final segment will focus on Canaries in the Coal Mine, the topic I regularly write about in Street$marts and will again in the next issue.